For those caught grabbing candy at the checkout or anyone with Harry Potter on the bedside table, this one is for you. 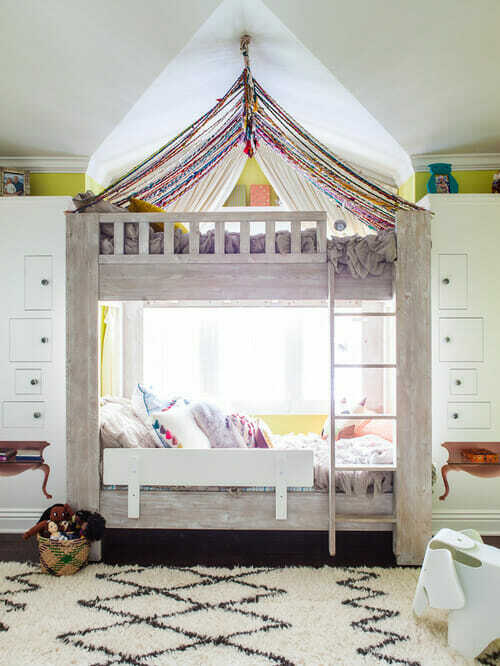 We’ve rounded up trending kids room designs that adults just can’t seem to resist. Infused with the creative energy of little residents, each room below has one or two must have pieces that adds to our grown up spaces. From faux furs in the crib to flashes of glowing orbs of light, inspiration can be drawn from nearly every youthful detail in these spaces andd make its way all throughout the home. Still daydreaming about 2016’s color of the year, Rose Quartz? A white and cotton candy pink palette makes dreams come true. Muted by gray undertones and completed with a matte finish, these spaces say “sweet dreams.” Apply Rose Quartz in small touches like accent pillows or a pouf and offer your adult space a softness. Along with rose accents, playful lighting solutions provide dimension and highlight architectural details in the space above easily applied to older kids at heart. Remind you of cotton candy? Swiveling in style, the Barrel Chair has nothing to hide. With a comfortable, warm, and classic form, it is a suitable accent piece. Exaggerate it with a white backdrop. Display its texture by placing it against floral patterns and pastel surroundings. For a power play, juxtapose the seat with emerald walls or accents. Small and sweet. 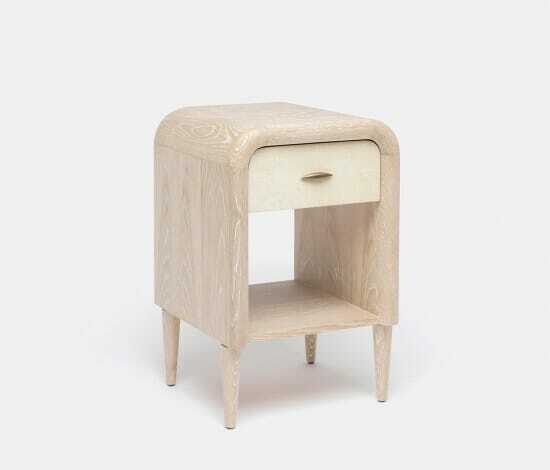 With faux-shagreen drawers and a rounded frame, a little stand becomes an eye catcher in an array of environments. Its understated whitewashed oak frame lends itself to the contrasting possibilities of splashes of rose, quartz, or coral. Remember the secretive feeling of creating a personal fortress as a child? A typical example for kids room design. Here an open frame lends itself to the changing décor, paper lanterns, vacation photo mobiles, or a blanket covering for a little hideaway. Storage options throughout the room balance play time with study and sleep creating both a life and space well balanced. Design by Decorilla online interior designer, Lindsay B. No need to let go of dreams of a hideaway. 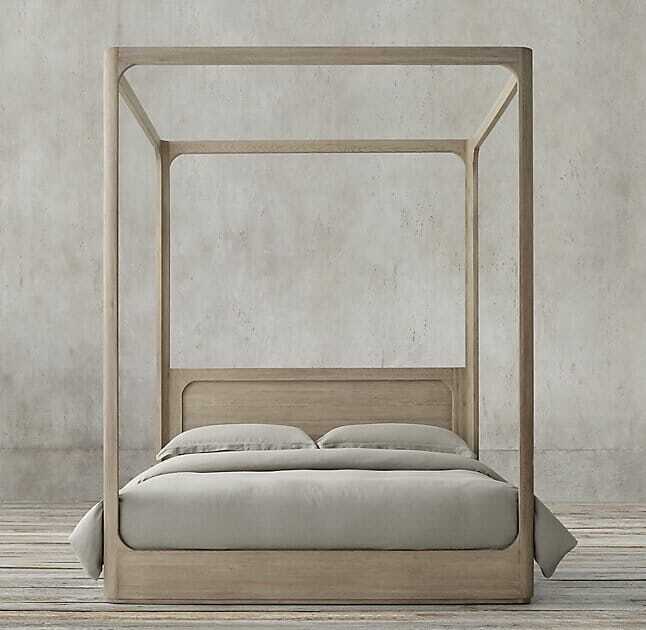 Add a special element to your adult bedroom design with canopy bed options, glowing lighting, and fanciful decor pieces. Ready to face the question: “Should we keep it or give it to the kids?” No need to compromise, with height adjustments and a variety of finish options, the solid oak frame can be a statement piece in rooms for all ages. 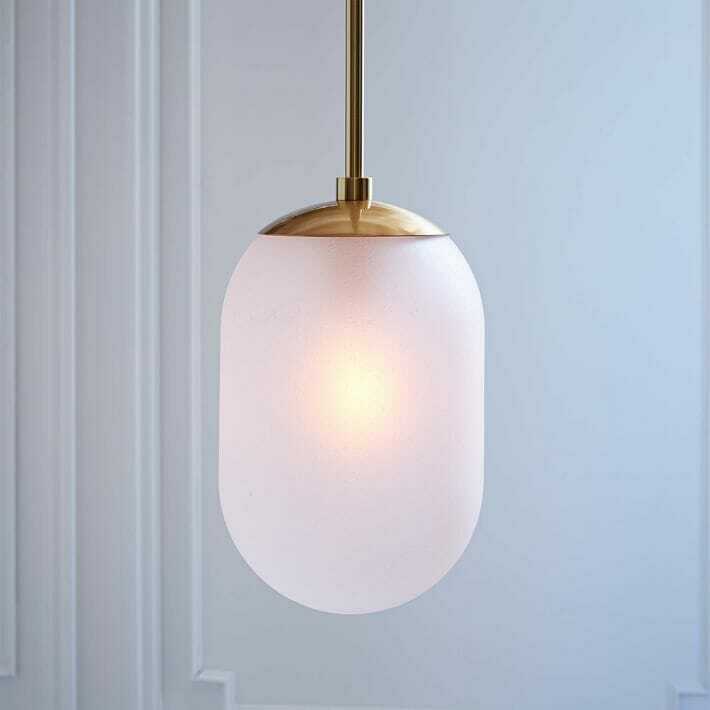 The Pill Pendant gives a dose of ambiance to most interiors, but its ambient potential is best suited in the bedroom. A salt-blasted globe casts warmth and a soft glow adding a touch of wanderlust to life at home. 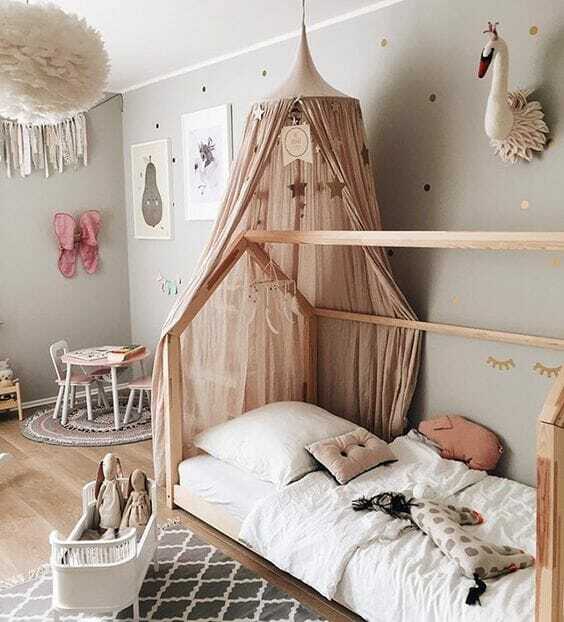 Though the space may never be as tiny as it’s little resident, kids room designs have an excuse to be unabashedly creative. 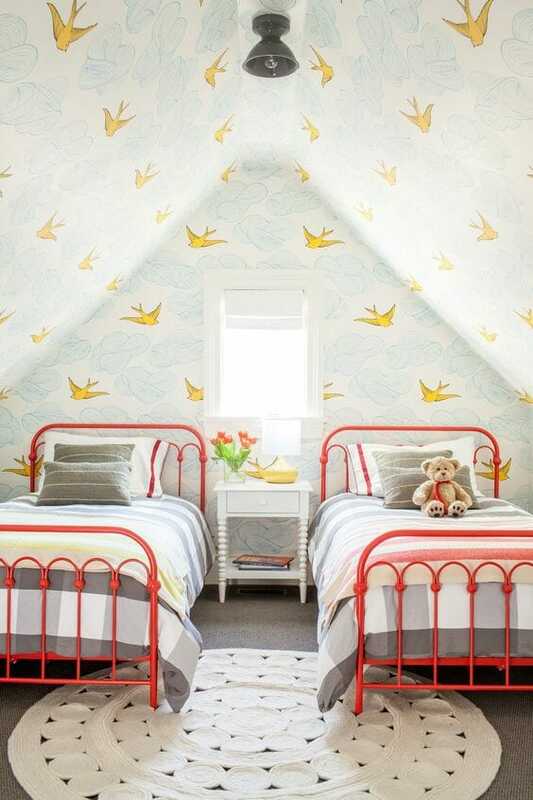 Tucked in the attic of a New England estate, this children’s room has a whimsical flare with attention grabbing cast iron beds and swooping swallows on the wall. With careful planning, attic spaces can be optimized for functionality. Clever furniture options and fun decorative elements can convert these small spaces into a home office, den, or bedroom for five! 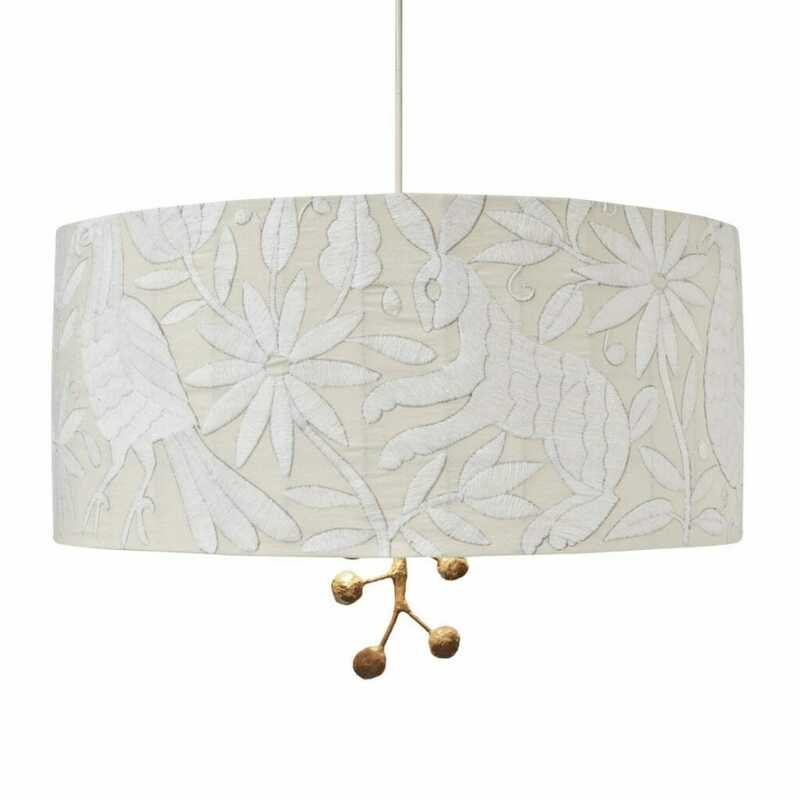 Playful lighting is one of the best ways to bring in youthful energy into a room .The Pato Pendant handmade in Mexico, is fabulously chic with white on white embroidery. The form is a wire cage that has been covered in fabric that embroidered by the Otomi Indians in the mountains of central Mexico. The funky little finial hanging down is handcrafted raw papier mache that has been partly gold leafed. Has a way of charming the young and old. When reminiscing about younger days, visuals of adventures in nature appear. Unlike the frequented office or airport, home is a place that has the potential to bring us back to nature. 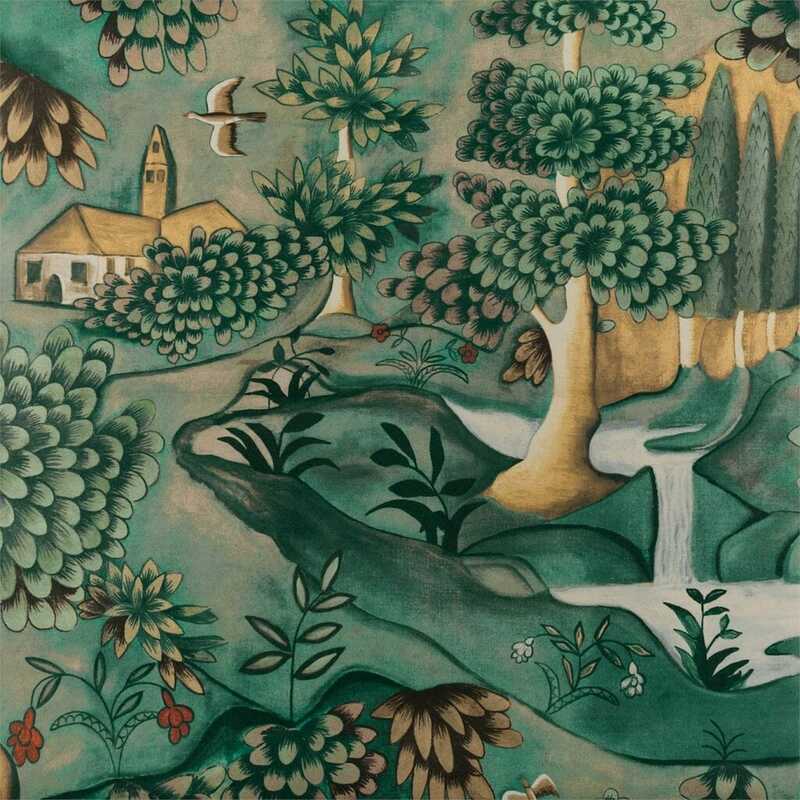 Exaggerated verdant color takes hold in this wall covering based on a late 17th century painted cloth that recalls a country scene. As an accent wall, it converts an attic into a natural haven. A room is much more than four walls. Arguably, six with a ceiling and floor in the mix. These are especially useful when a divider is needed. 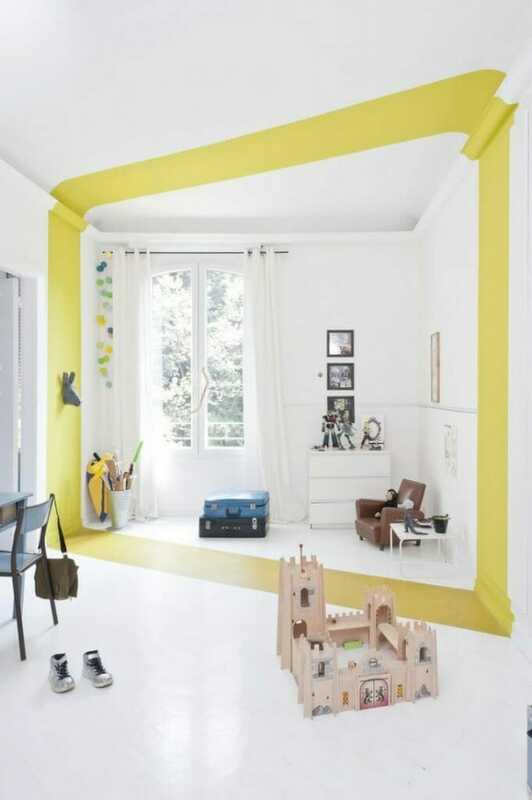 The angled band of yellow in the kids room design above, for example, gives the white box an infinity type of dynamism, instantly heightening and elongating. For studios or large rooms that would like definition of one area from another, items like bookshelves, screens, and hanging curtains offer a stylish divider solution. 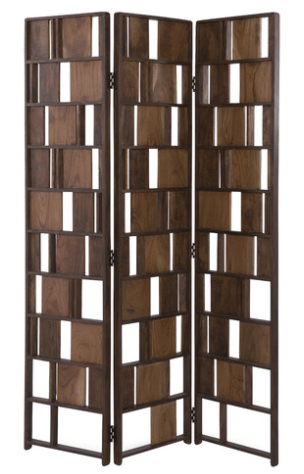 This multi panel screen acts as a functional space divider or can simply be added as a decor accent. Different sized cut outs and pieces of acacia wood offer an interesting aesthetic. With the ability to fold easily, screens are a great solution that can be temporary and versatile. 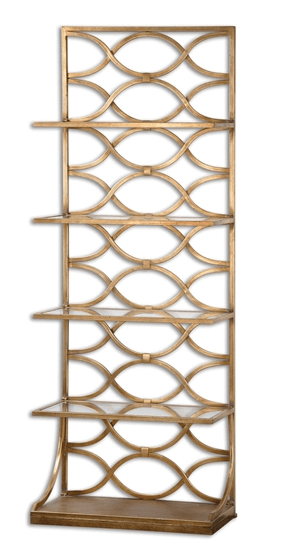 Forged iron in lustrous gold leaf finish, featuring four tempered glass shelves, this etagere shelf makes for a sophisticated room divider when three or four are placed together. The functionality is enhanced by adding storage space for books and decor. Big or small, we’re all dreamers inside. 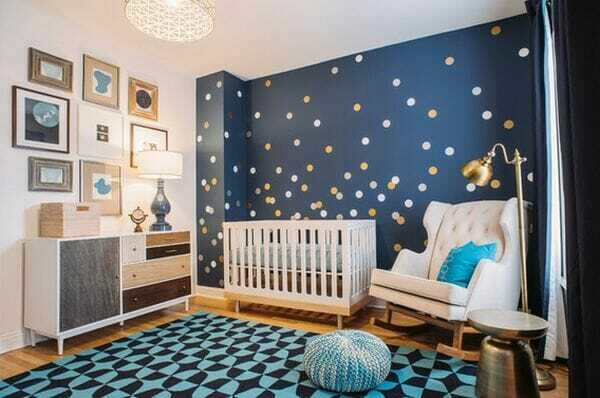 These kids room designs inspire ways that speak to the astronaut, pilot, superhero within. One easy application is having a dark accent wall that mimics the night sky. Not only visually impacting, it’s immediately adds tranquility to a room. 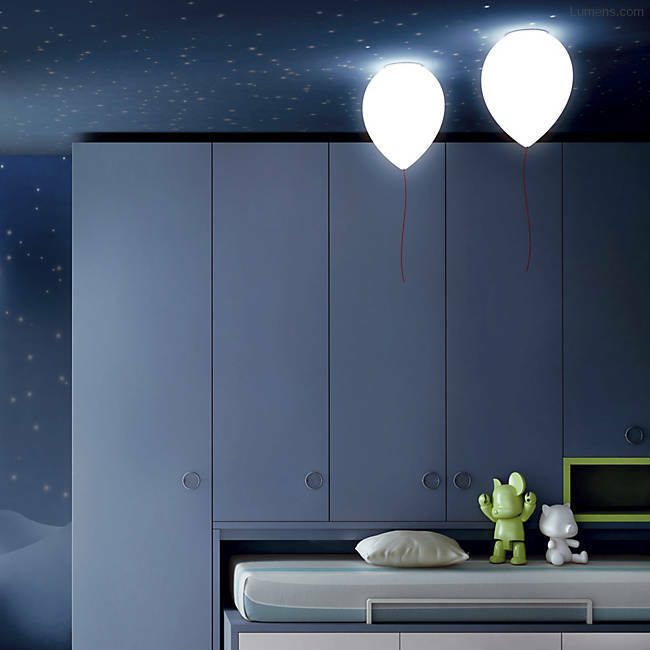 Color sets the stage for the dreamy balloon lamp as it levitates in a galaxy-like room. A red pull string mimics the letting go of a balloon with the unyielding hopes and imagination of a child. Pull and release for a space of magic and play. Float or fly, the following pieces are for the imagination. 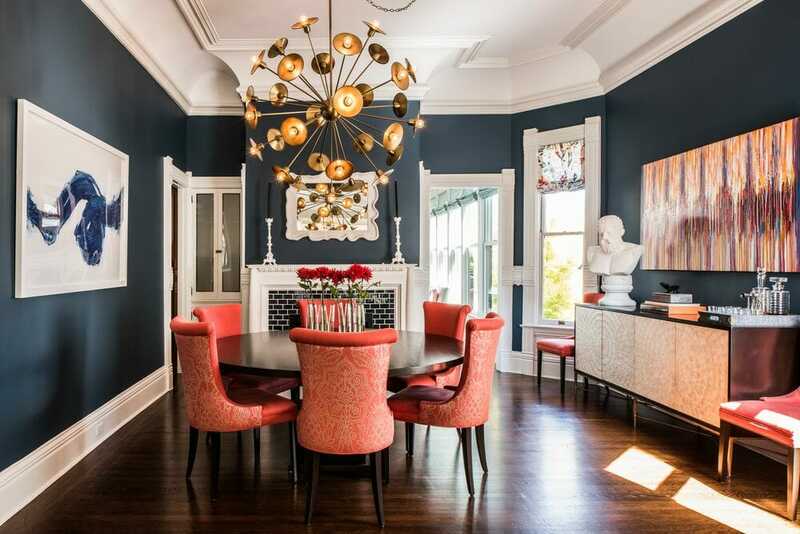 While bold, a deep blue paint color reads both as timeless and beautiful. Bring in the dreamy feel to the bedroom or add some drama to the dining room. In any case, incorporating the right textures and color to compliment the wall color will make for a stunning room design. Yes, perhaps the time for glow in the dark stars and planets are over. 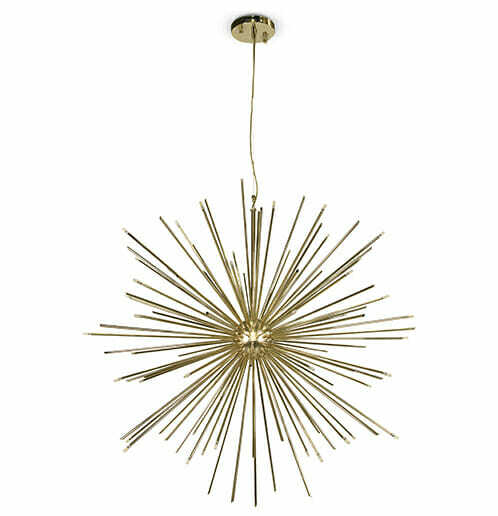 But, pieces like this brilliant pendant brings in a mid century flair to celestial inspired lighting. Layers of plush and fluff invite all to a warm pause. 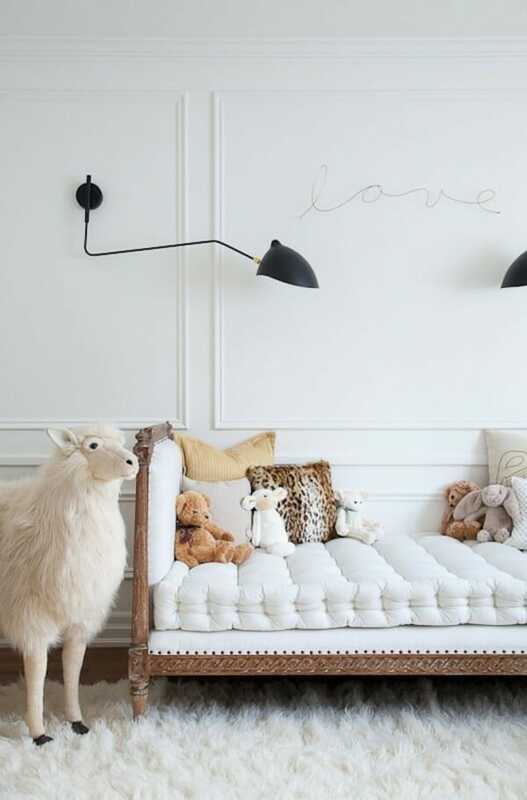 Softness abounds in these kid room designs, creating a delicate and light look. 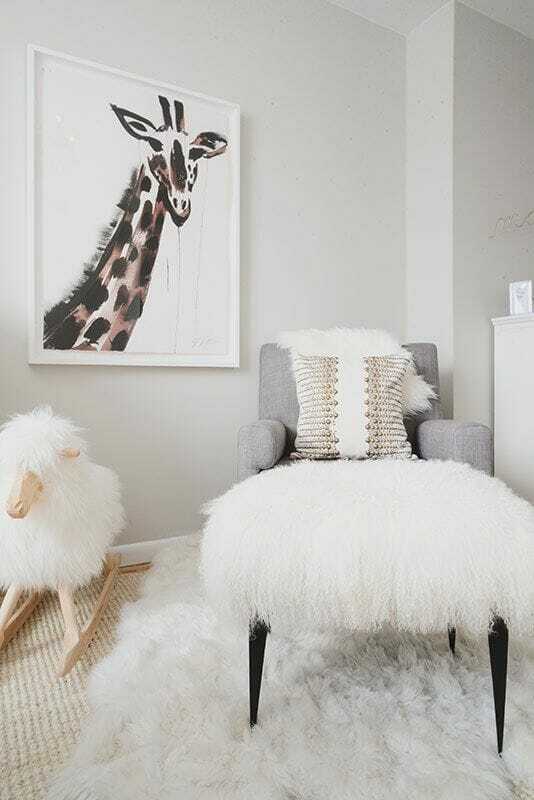 Faux fur in varied forms call forth Scandinavian style elements brining in visual interest and a natural touch. Faux fur is nice on its own but better when incorporated into design. For a finessed look, add layered textures and neutral accents to every nook and space in your home. As kids, we cherished the fuzzy, furriness of stuffed animals or a soft blanket. 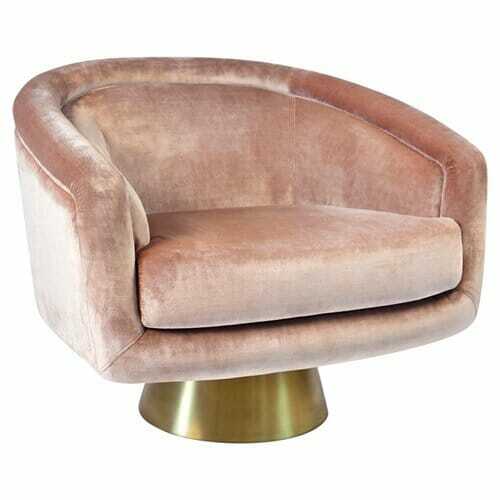 Take that comfort into an adult space with faux fur furniture like this accent chair. 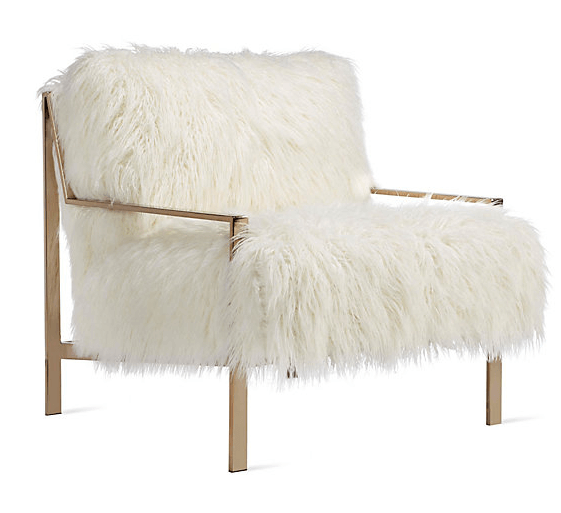 Combines with a polished frame, this furry seating adds fun and low-key luxury to any room. Not for living rooms or bedrooms alone, faux fur can also take its place in the kitchen and dining areas. 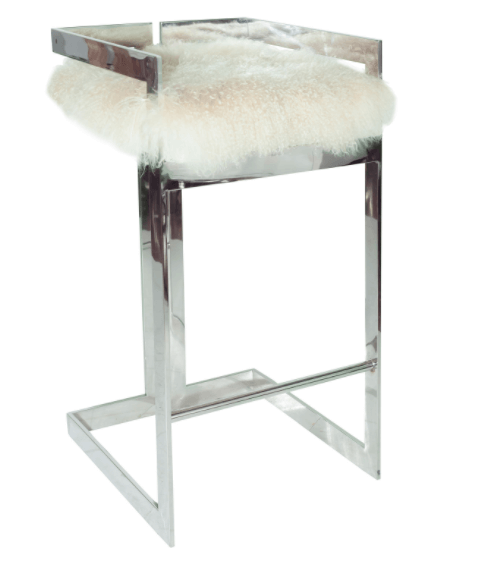 This intriguing bar stool meshes the contemporary and eclectic through its metallic and fur combination. Reading this post while at the 9-5 setting and not on the playground outdoors? Don’t ditch the adult scene just yet. 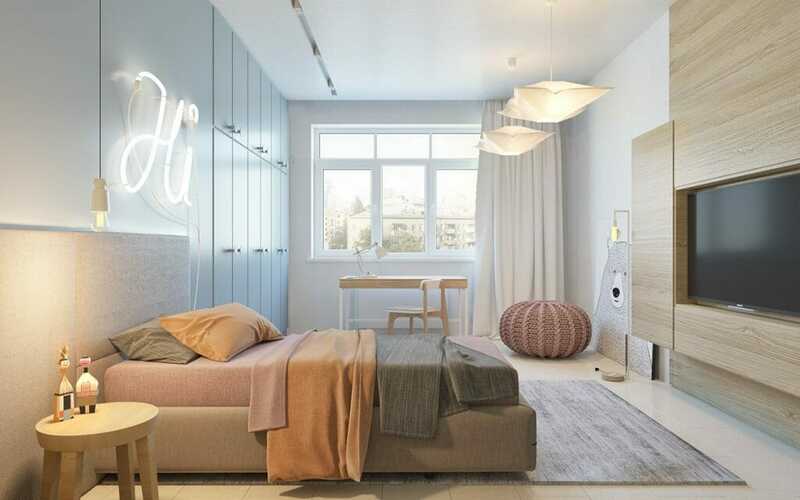 Let the youthful energy of these kids room designs bring some fresh inspiration for your next interior design project. With the help of a professional online interior designer, you can have a space infused with the spontaneous, bold, and lively spirit that is reminiscent of the best of childhood. Written by Devin S. + Christine M.